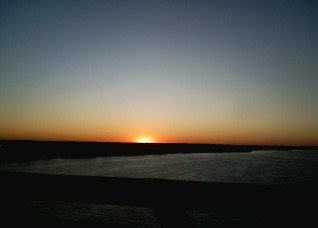 Only about 25 minutes into a 5 hour trip, this is the view going over the river heading off for Mobile last Friday. Taken with the trusty cellphone in the passenger seat. For more eyes on the skies check out http://skyley.blogspot.com/ . Wow beautiful. Amazing that you got this with your cell phone. you have an incredibly good cell.